Gluten-free category booklet out now! 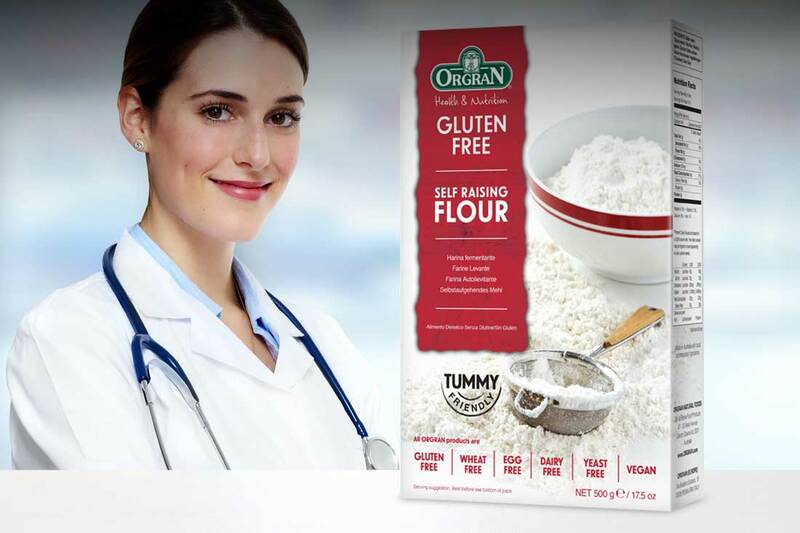 We can help you grow your Free-from/Gluten-free category sales. Contact us today to receive your complimentary category booklet and a no obligation category review. Sharing our passion with others everyday. Crombie & Price was founded in 1971 by qualified pharmacist, Bevan Crombie, in the provincial town of Oamaru, in New Zealand’s North Otago. 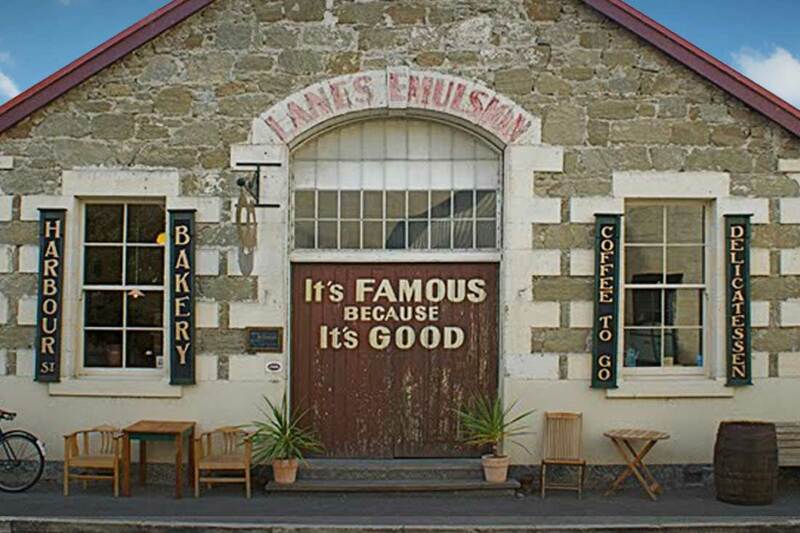 The region is the home of the little blue penguins, the Moeraki round boulders, beautiful Oamaru stone and tasty blue cod. Bevan had a strong passion for natural health and identified a gap in the market for sourcing quality natural health products for his own pharmacy at a time when these products were few. He started supplying other pharmacies in the area, and before long was supplying a significant number of the pharmacies in New Zealand. Bevan's sister was a naturopath, and she often said to him that the best form of medicine was food, which made absolute sense to Bevan. Over the years Crombie & Price has continued to grow and diversify, to offer a holistic approach to wellness. 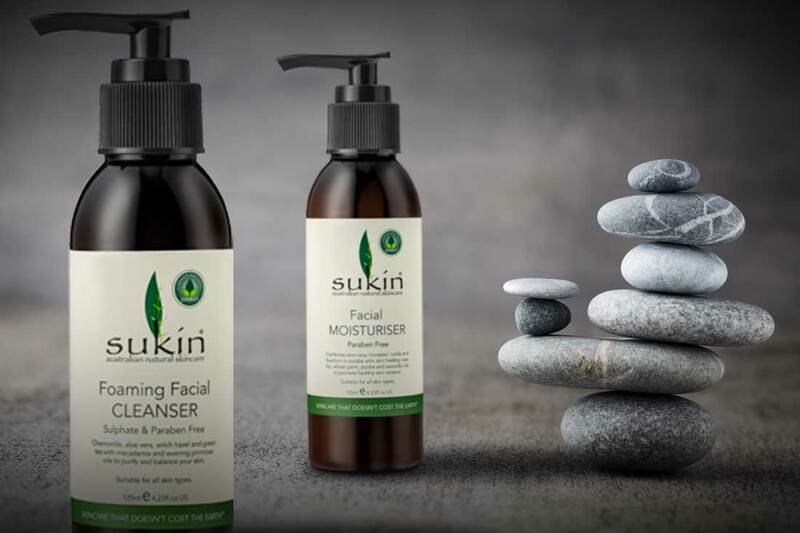 The product range has expanded to include natural health food and snacks, as well as skincare and beauty. Bevan has always had an eye for good quality natural health products. One such product was found very close to home. 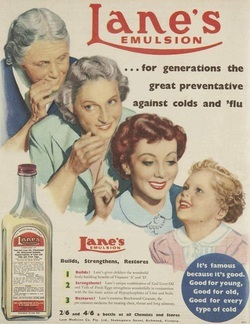 Lanes Emulsion was a cod liver based multivitamin elixir developed by a local pharmacist. Cod liver oil is long known to have substantial health benefits and Oamaru was plentiful with these slippery coastal dwellers. Crombie & Price purchased Lanes Emulsion in the mid 1970's and continued to manufacture and sell the thick cream-coloured liquid to many generations of New Zealand children, before being finally discontinued in the 1980's, after selling over 20 million bottles. Youngest son John Crombie, is now the Managing Director of Crombie & Price. Under John’s leadership the business has grown substantially with many new health products being added to our portfolio. We continue to develop enduring relationships with suppliers and customers while maintaining the high level of quality and expertise for which we are known, as we lead the way in nationally and internationally sourced natural health products. Founded by Bevan Crombie, a pharmacist with close to a century of knowledge and experience. He has successfully built a team of highly respected professionals servicing retailers throughout NZ. Crombie & Price started in the pharmaceutical field with a focus on natural health products. Our vision is to make the worlds’ finest natural products available to the New Zealand consumer. Crombie & Price has stayed true to this vision and continue to innovate and develop this market space with the same tenacity as demonstrated over the last 45 years. Crombie & Price strive to provide outstanding representation of our products. We not only make them accessible to the New Zealand consumer, we develop and provide product support, service and education to our suppliers, ensuring our own expertise in the field is exemplary. Our team and those we draw knowledge from in order to stay at the top of our game, have a wealth of experience and up to the minute knowledge in natural health products. Sometimes, there is no short cut to time already served in the market. Crombie & Price is NZ's largest supplier of natural health products, representing the world's leading brands. We pride ourselves on category knowledge, insights and innovation. Our nationwide sales force has the expertise to gain distribution, build lifelong relationships, educate new retailers and develop new categories within this ever-expanding market. Call us today to put us to the test. © COPYRIGHT CROMBIE & PRICE 2016. ALL RIGHTS RESERVED.